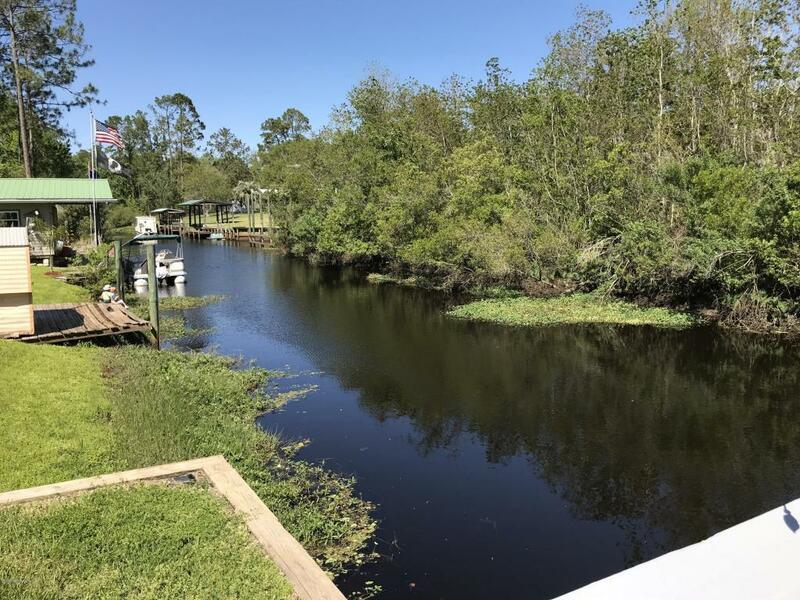 Move in Ready 3BD/2BA Home on Wide Canal just a short distance to the St. Johns River! 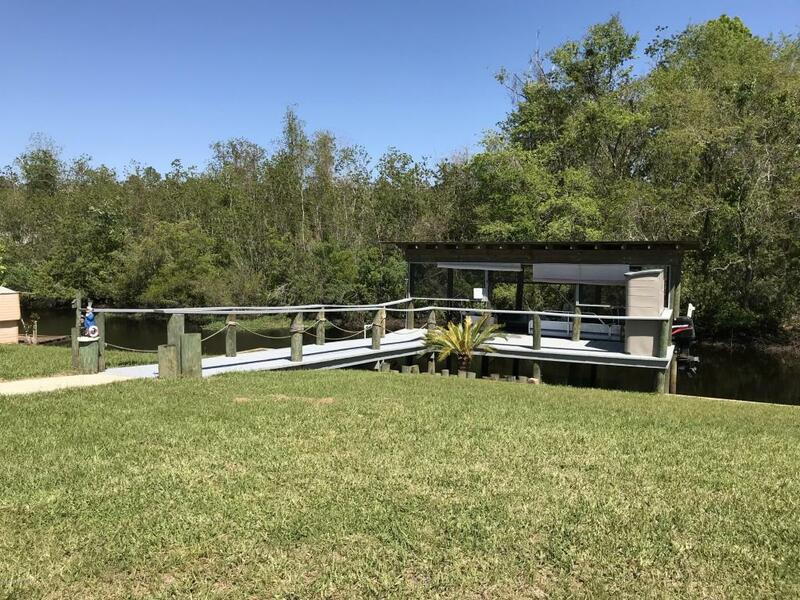 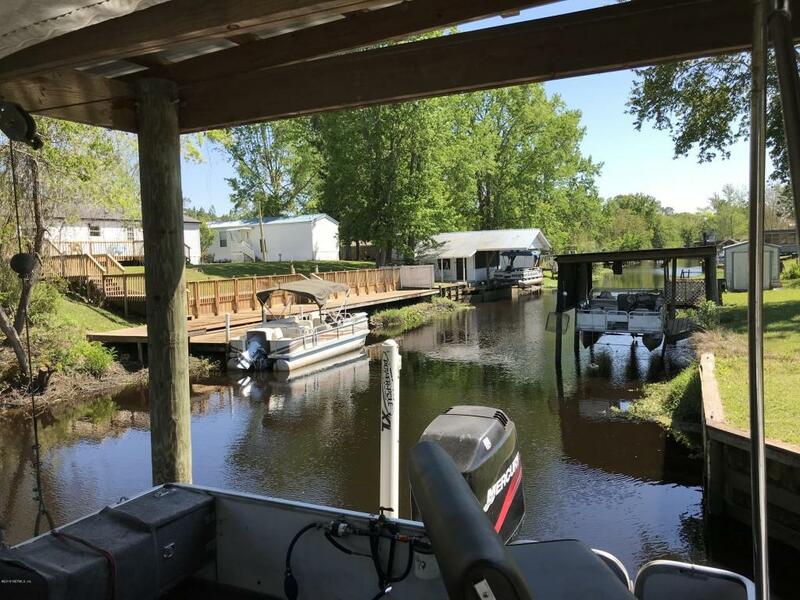 Enjoy 80 ft of Waterfront with Dock, Boathouse, Lift, Bulkhead, RV Hook-up, 2 Car Garage, Spacious Master Bedroom, Wood burning Fireplace in Living room, Metal Roof installed 7/2017, HVAC only 2 yrs old, Termite Bond, Fresh Paint, New Carpet. 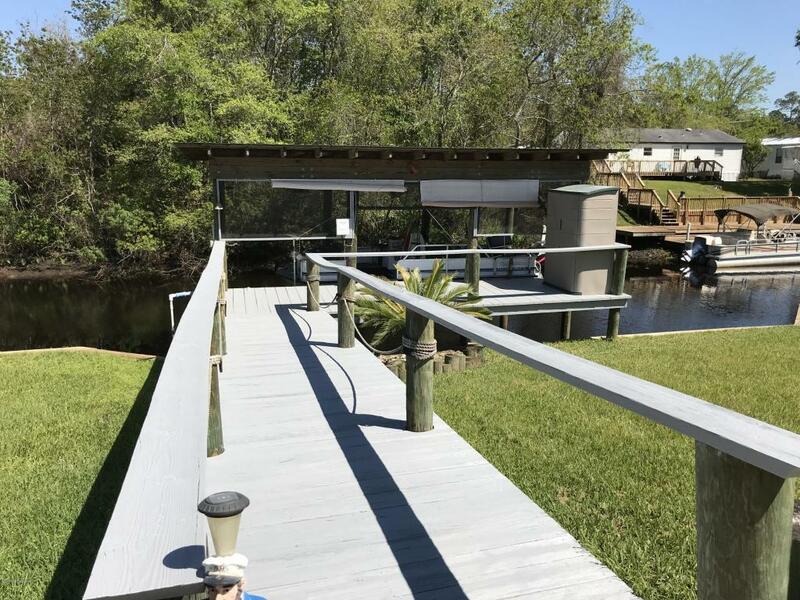 House sits high from canal, no water intrusion from past hurricane.